In early December, Prosetta attended the Cell Symposia: Influenza - Translating basic insights. The poster presented by Prosetta can be viewed here. 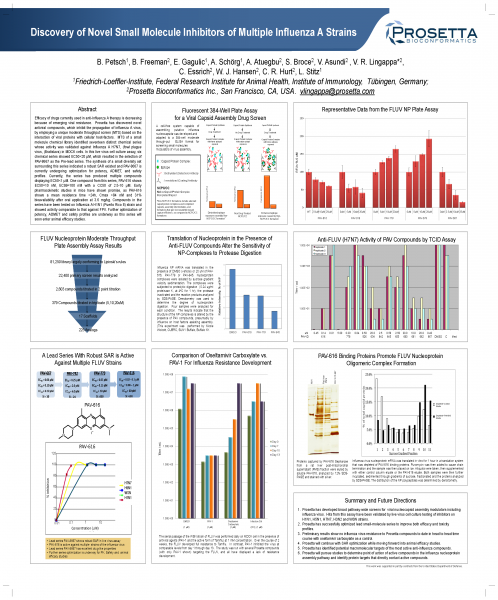 During November 1st – 3rd, 1010, Prosetta attended the Sixth Annual Northeast Biodefense Center Conference and presented its latest advances in Dengue virus (DENV) therapeutic discovery.You can view the poster presented by Prosetta here. This week, Prosetta proudly presented eight posters and three talks at the 23rd International Conference on Antiviral Research held in San Francisco, CA. All posters and abstracts can be viewed here.